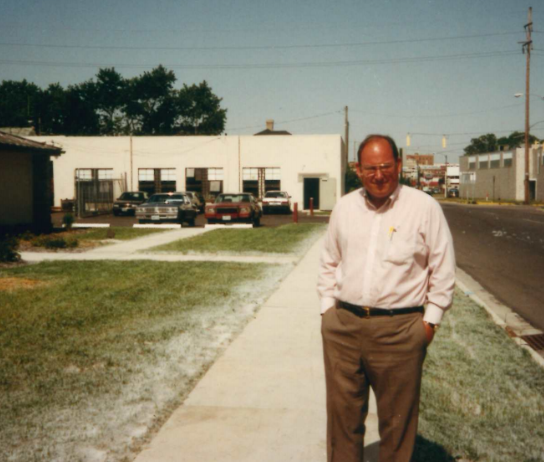 Pentaflex was founded by the late John C. (Jack) McGregor in Springfield, Ohio in 1972. The name Pentaflex is derived from the five initial investors (Penta) who because of their diverse professional backgrounds considered themselves to be very flexible (Flex). 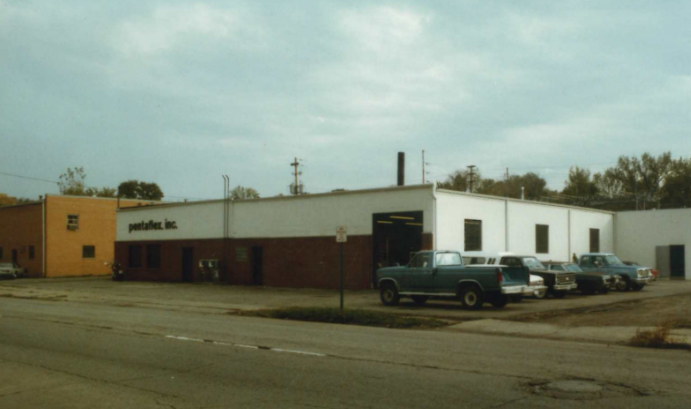 Pentaflex was originally located on East Columbia Street in downtown Springfield. From the beginning the company has focused on heavy gauge metal press stampings and assemblies. Pentaflex has been unique in that the company has always used high tonnage hydraulic presses as part of the production process. This has allowed the company to take on heavy gauge, deep drawn and highly complex parts that many of our competitors decline to quote. Over time, the company began to offer additional value added services such as welding, machining and the assembly of purchased components. The thought being that since something else had to happen to the stamping, why not do that work internally so the customer receives a sub-assembly that is ready to b e put into service without additional labor. This saves the customer money through reduced processes. Like many American manufacturing start-ups, Pentaflex was originally located in a facility that was not built to house a metal press (stamping) plant. And, like many American manufacturing start-ups, over time Pentaflex acquired properties in the neighborhood and built connecting additions to provide the needed space for the growing business. 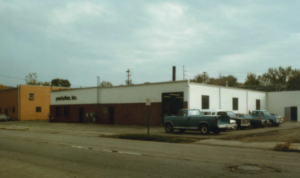 As the company continued to grow, the physical limitations of the Columbia Street location became more pronounced, so in 2000 Pentaflex relocated to a new purpose built facility in the Prime Ohio Corporate Park in Springfield, Ohio. The new facility is 145,000 square feet with 110,000 square feet of manufacturing floor space. While still owned b y the McGregor family, David Arndt now serves as the President of Pentaflex and continues the principles on which Pentaflex was founded. Precision and value remain our constant hallmarks. The team of over 150 associates is dedicated to providing a quality product at a competitive price, and superior service to our account partners.